Peachtree Publishing Company, 9781561457083, 1pp. Only the King of Little Things stands between King Normous and his goal of conquering the world. And little things can wield great power. In a world of vast kingdoms lives a king who is happy and content to reign over all things small. Not so King Normous. He wants to be Ruler of All the World. After having erased every empire and raided every realm, Normous is enraged to learn that the King of Little Things still rules over his tiny kingdom. He sends his army to defeat this upstart, but he finds he cannot outfight or outwit a king who holds sway over the small things of the world. After all, it is the small things that keep the big things going. 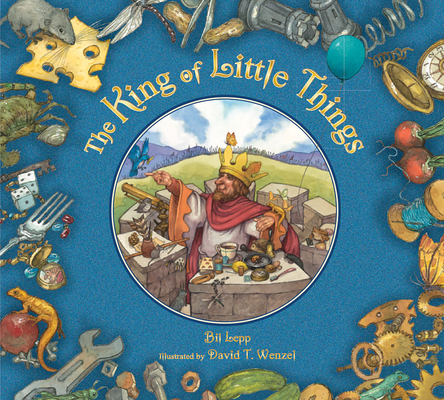 Bil Lepp's imaginative tale of the beauty and importance of all things small is perfectly paired with illustrator David T. Wenzel's bright watercolor paintings.